Don’t give up. We can help you and your incarcerated spouse. Incarceration is Hard on Marriage. All married couples and their spouses know that. If you are one of these couples – we can help you just as we helped this couple and countless others. Each day God touches us, do we notice? Since 1981 our volunteers have presented our Marriage Encounter Program in State and Federal prisons more than 220 times. They have helped countless couples in the same situation as you find yourself in today. From these experiences we have produced a fantastic Guide Book called T.I.M.E. 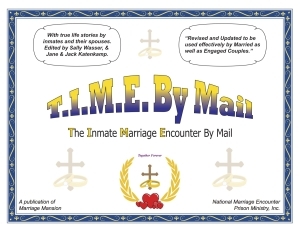 By Mail (The Inmates Marriage Encounter By Mail). This book will help you and your spouse feel like a united couple ready to plan for the future. How can that be? Because this world-famous experience is a program that you give to each other. Read on. The T.I.M.E. 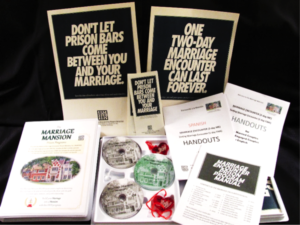 By Mail book provides the entire Marriage Encounter program to inmates and their spouses. 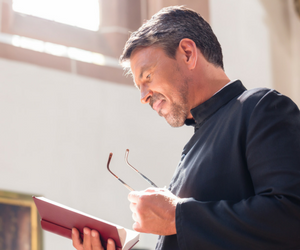 This do-it-yourself format has helped thousands of married and engaged couples to improve communication, understand themselves and each other, forgive, grow in trust, pray together, and plan for their future. If you follow the steps in the book, and live its suggestions, your relationship will be enriched. All the talks in the book and on the website were prepared by couples who gave them at a Marriage Encounter program in prison. First these coup les participated in a M.E. program inside the institution where one spouse was incarcerated. The other spouse entered the institution with the Team Couples each day and went out at night. After experiencing the entire program, these couples generously offered to prepare talks to give at the next M.E. at the same institution. They spent a lot of time writing, mailing their talks to each other and having them checked (by mail) by a Team Couple from NMEPM. They did all this because they wanted to help others. We have changed their names to protect their identity. * I believe that it is important for all Christians to remember that Jesus began his public ministry at a wedding feast in the village of Cana. * Jesus spared the young couple the pain and embarrassment and possibly their first argument by quietly replenishing the depleted wine supply. * Fortunately, the couple in the Bible had invited Jesus to their wedding. He took care of the problem without their awareness. That’s the way Jesus often works — quietly and behind the scenes. * The real miracle in the story is not more wine, but the presence of Jesus in their marriage. Jesus wants us to join with Him to create a visible example to the world of His love for all couples and all people. Here’s an example: Invite your residents to stay for a few minutes after Services. Then ask a question like: “How can you make the holidays “special” for yourselves and our families? How can you help your children enjoy the holidays? Then let the inmates answer, sharing ideas with each other. How One Couple Does Dialogue By Mail. Chris tells us: “One of the best experiences of our married life was when Pat and I made a Marriage Encounter inside a Federal Correctional Institution. With the help of couples like us, members of NMEPM have developed a method to help us dialogue by mail. 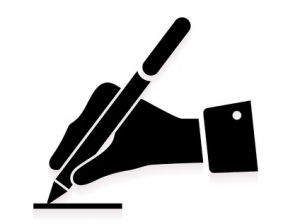 How can I feel united with my incarcerated loved one during the holidays? 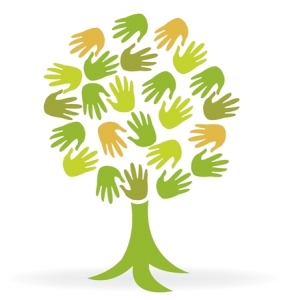 How can I help my children be a part of it? Many of you have questions that can be answered best by someone who is also experiencing the incarceration of a loved one and the separation imposed upon you. Above is a question someone has written in. Help this person by giving your answer and then . .
Any married inmate or their spouse can tell you that. If you are one of these couples, and you’re serious about staying together and strengthening your marriage, National Marriage Encounter Prison Ministry can help. 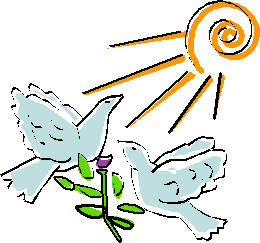 It is our hope to provide meaningful support while you are suffering the stress of incarceration. Several married couples in Cincinnati, OH, and a chaplain from Lebanon Ohio prison, who experienced the benefits of the popular Marriage Encounter program on the outside, responded to the appeal of a chaplain at a federal prison in Lexington, KY to help married inmates who wanted desperately to save their marriages. As a result, in 1981, the first Marriage Encounter was presented in a prison and National Marriage Encounter Prison Ministry, Inc. was formed as a non-profit, non-denominational organization. 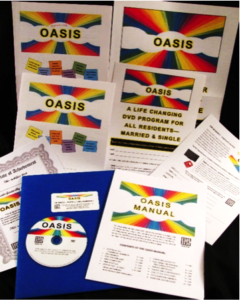 Since then, our all volunteer group has presented several hundred Marriage Encounter programs in over 50 state and federal prisons throughout the U.S. We are happy to now offer our complete programs on DVD. Marriage Encounter is an enrichment program for husbands and wives. Experienced by well over a million couples worldwide, this popular marriage enrichment program has been adapted to the prison setting. Now you and your spouse can experience many of its life changing benefits via this web site.